HENRIETTA – direct marketing, s.r.o. was established in 1994. We are primarily engaged in direct mail services (including magazines), and we also offer bookbinding and finishing services. We pride ourselves on our fast, quality-oriented, and responsible approach to what we do. The proof is in our numerous clients from a wide range of industries, such as insurance companies, banks, telephone and television operators, advertising agencies, printers, travel agencies, publishing houses, automotive companies and pharmaceuticals, sole proprietors, and private companies (see our references). We always strive to uphold the old maxim “The customer is king!”. Our strategy for the future includes constantly improving our services and expanding our activities outside the Slovak Republic. To date, we have employed up to 30 people internally and more than 3,200 people externally (temporary). We are now fully staffed, with temporary workers available as needed. We’re a medium-sized family company situated in the part of Bratislava known as Podunajské Biskupice. 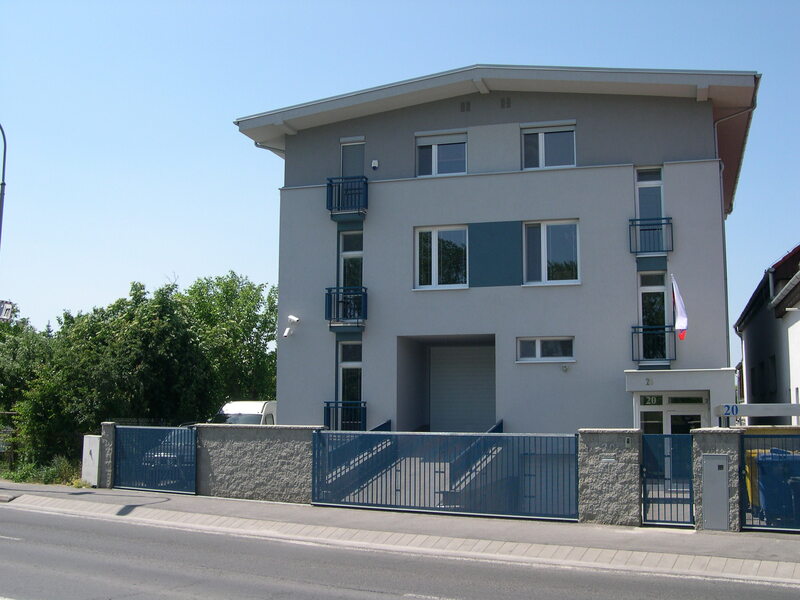 We have our own premises – a 4-storey mixed-use building (no shell corporation here  ). Need to process a large quantity of mail pieces? We’ve got you covered. We have 500 square metres of space for storing and processing your project. If printed matter is delivered directly to us, we’ve got unloading covered too (pallets, envelopes, parcels, etc.). We have a range of materials handling equipment, such as palletisers, forklifts, and trolleys. The same goes for transporting to the client and the post office. We are all set to transport pallet quantities within Slovakia and the Czech Republic. Apart from the work done by humans, we also use modern, top-quality equipment and machines from the renowned Japanese company DUPLO and the German companies HUGO BECK and JUNGHEINRICH.